It was a wet start to summer in Greater Moncton with 18 out of 30 days in June reporting at least a trace of precipitation. Most of the rain fell during three major events, 08-09 during the remnants of Post Tropical Storm Andrea, on the 12th and the 28-29 which proved to be a real soaker from the Eastern Seaboard. For the most part, daytime highs were either well above or well below normal and overnight lows proved to be cool especially during the first half of the month. It sure has been a wet June in Greater Moncton. Just when you thought we had enough rain from the remnants of Post Tropical Storm Andrea – a half month’s worth – along comes even more rain this weekend. Almost a month’s total fell in 48 hours thanks to a low pressure system which pushed up the Eastern Seaboard. For about an hour last night, Environment Canada had posted a tornado warning for Kings County, New Brunswick including the Sussex area. As you can see above, there were some very ominous clouds overhead which certainly gave an indication that a severe thunderstorm was in the area. Environment Canada has stated that it doesn’t believe an actual tornado touched down. 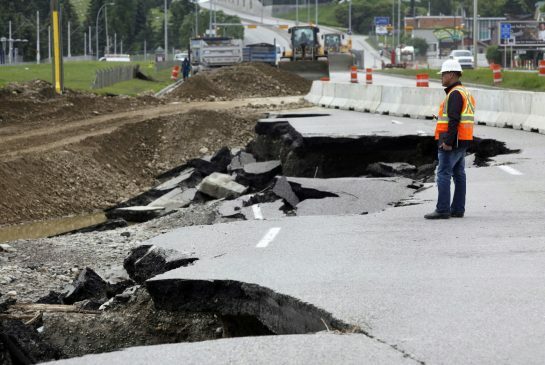 It could take several years for Alberta to fully recover from historic flooding which has devastated southern parts of the province. Life is slowly returning to normal in Calgary and power has been restored for about half of the downtown core. The Stampede, Calgary’s premier tourist attraction, will open on July 5 come “hell or high water,” according to event officials. Thousands of residents from Canmore to flood-ravaged High River still wait to return to their homes and assess what is left. 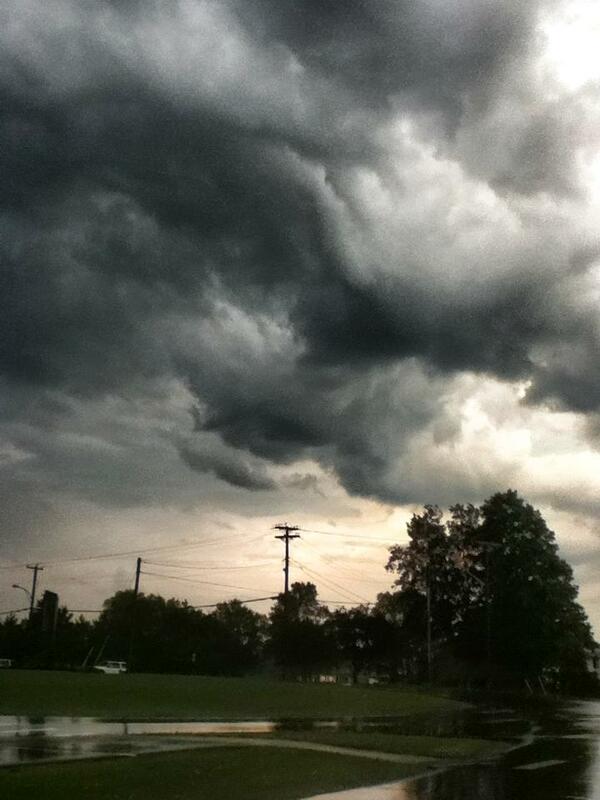 A series of severe thunderstorms rolled across New Brunswick and Nova Scotia yesterday. I encountered one as I was driving from Truro to Moncton last evening. 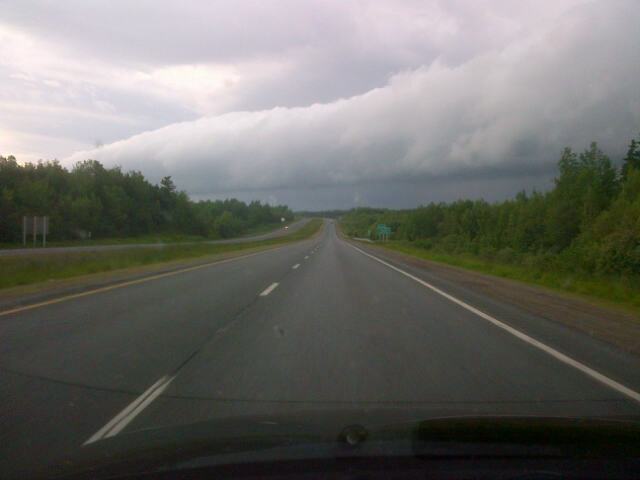 Big, ominous clouds could be seen as I approached Amherst on the Trans Canada Highway. Then a sudden downpour occurred near Sackville and for a few seconds visibility was down to zero with many vehicles choosing to pull over to the side of the road until the heavy rain subsided. 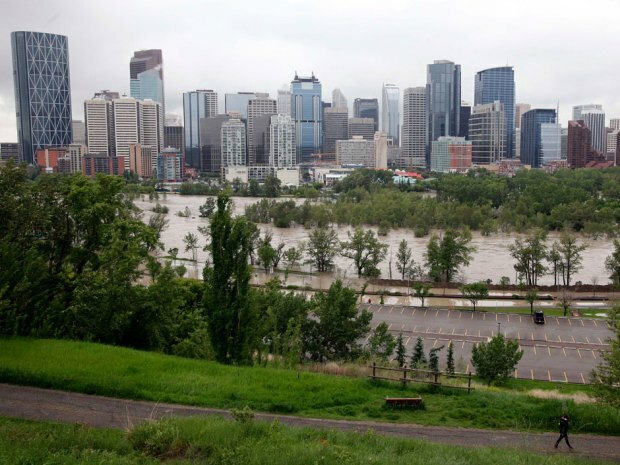 Southern Alberta has seen anywhere from 100-200 mm of rain over the past three days which has forced creeks and rivers to spill their banks and has flooded hundreds of homes, businesses and even downtown Calgary. At least 100,000 residents have been forced to evacuate due to the floodwaters and there are reports of several deaths. Hundreds of soldiers have also been deployed to help emergency personnel in rescue efforts. East-west traffic in the region has ground to a halt after a section of the Trans Canada Highway near Canmore was washed out. Summer officially arrived today at 2:04am AT in New Brunswick. The summer solstice is from the Latin solstitium, from sol (sun) and stitium (to stop), reflecting the fact that the Sun appears to stop at this time. This is also the longest day of the year with 15 hours and 46 minutes of daylight. 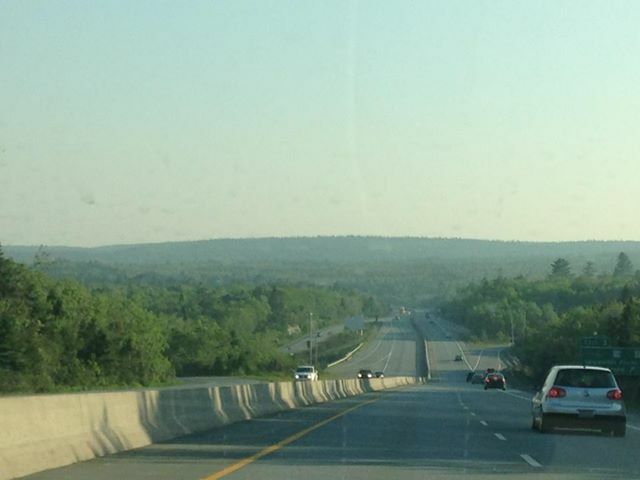 Environment Canada issued a special air quality statement for New Brunswick yesterday after smoke from forest fires in Quebec drifted into the province. Satellite pictures showed a smoke plume extending from the Gaspé peninsula through central New Brunswick. 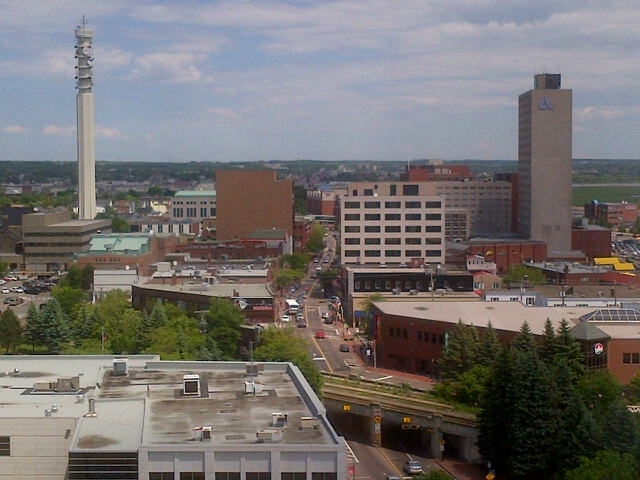 In Greater Moncton, the smoke descended close to the ground for most of the afternoon. Westerly winds helped push the smoke over Nova Scotia and Prince Edward Island as well. Severe weather has developed across much of central Alberta today including the Edmonton region. 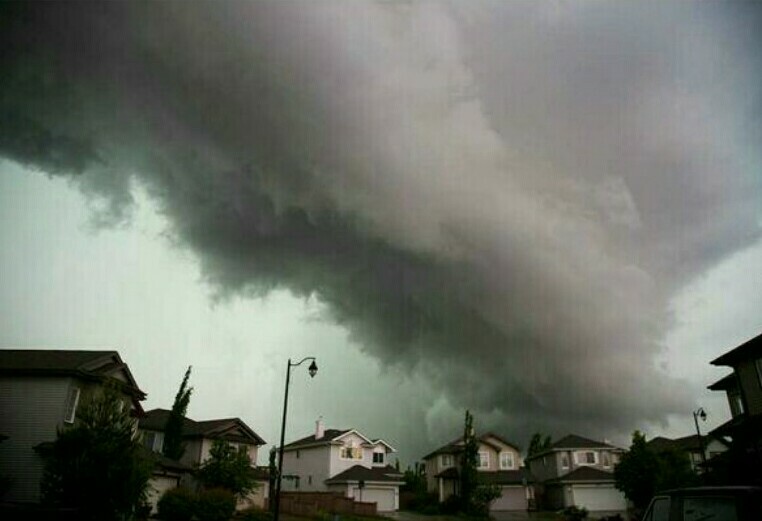 Environment Canada says thunderstorms have the potential to produce a tornado. Large hail, heavy rain, and strong wind gusts continue to be a threat in these thunderstorms. As much as 20 to 30 mm of rain is expected by tomorrow with local accumulations of 50 mm in thunderstorms. Just a few days after the remnants of Post Tropical Storm Andrea dumped anywhere from 50 to 100 mm of rain over parts of New Brunswick, another low pressure system has brought more wet weather. Environment Canada notes the ground is already well saturated from Andrea and some areas could experience localized flooding from this rain as a result. As much as 30 mm of rain could fall in Greater Moncton before a clearing sky tomorrow morning.